With investment in the stock market becoming more and more popular, discussion on the topic of stocks and the stock market is common place in offices, as well as, places of leisure such as clubs and restaurants. It is but natural, therefore, that it evinces interest from even the most conservative investor, as an investment option, and also the curiosity to attain sufficient knowledge, on the current topic of hot discussion, to avoid seeming ignorant. 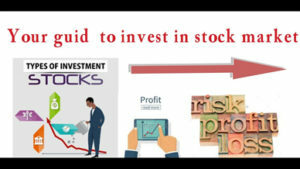 Educating oneself on the benefits of investing in the stock market, as well as the associated risk factors, ensures that better-informed investment planning and choices can be made with help of professionals in the field. It is very important that an investor understand the basics of stocks, trading in stocks, as well as, the stock market before venturing into them. Stocks of a company are generally a part ownership component in the company which also provides the investor with all subsequent rights available to a shareholder of a company. Owner of the stocks in a company is the legal owner of the net assets of that company. Stocks of a company, classified on basis of ownership rights, may be mostly of two types namely common stock and preference stock. The type of stock being offered by a company is clearly listed in the initial public offering document released by the company. 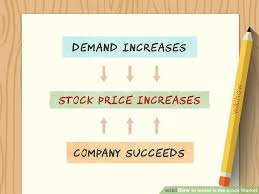 Mostly the stock offered by companies is common stock, and this is what most people are referring to, when discussing stocks, shares or equity of a company. 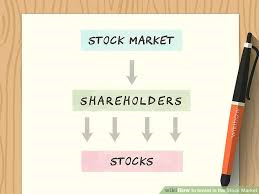 Common stock is true ownership of the company and provides the owner not only ownership rights over the assets of the company and a share in the profits of the company but also all the risks associated with the company and an equal share in losses incurred by the company. All rights provided to stockholders are a representative proportion of the value of stocks held, to the total paid up capital of that company. For example, let us assume that the total paid up share capital of a company is $1,000,000, and an investor has purchased stocks worth $10,000. This is 1% of the total paid up capital, hence, it would give rights equivalent to the percentage. The holder of the stocks would rightfully obtain, 1% share in the profits as well as the losses and own 1% of the Assets and liabilities of the company. His vote also would have 1% value in any shareholders meeting. Therefore, it is clear that when individuals purchase common stocks, they become true owners of an organization, by acquiring every right concurrent with ownership. 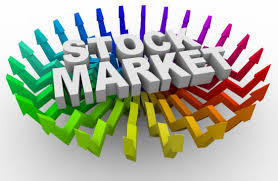 The other type of stocks which a company may issue from time to time is preferred stock capital. The preferred stock also bestows simultaneous ownership rights upon the investor in the stocks, however, there is a major difference in the rights provided to a preferred stock holder. The preferred stock holder may not have voting rights and the exposure to risk may be lower. 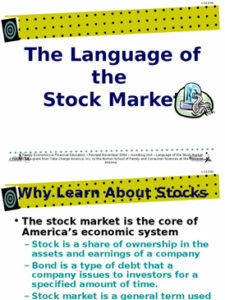 Firstly, let us understand the essential difference in both the types of stocks. Preferred stockholders are treated as secured shareholders, in the sense that, in case of insolvency the preferred shareholders have the right to be paid off, before the common stockholders. It means that they are given preference for repayment of sum invested over common stockholders, in case if company files for insolvency, therefore, providing them preferential charge over the Assets of the company. 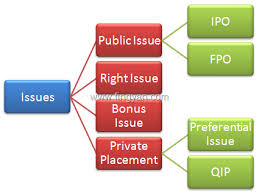 Therefore, these investors also receive lower returns in the form of a fixed percentage decided at time of issue of stock, the decision to not offer voting rights is very valid, as these investors do not face the risk of the common stockholders, so they cannot be afforded equal decision making power within the business. Due to its inherent nature preferred stock does not appreciate and depreciate in value, in the same way as common stock, nor does it carry the potential of growth intrinsic to common stock. Therefore, it is not a very viable investment option as it does not provide the essential attraction of exceptional growth which is the major reason for investors to venture into the stock market. 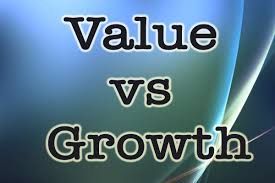 Since it lacks the very advantage of exceptional growth offered by investment in stocks, with the reduction in exposure to risk not in any way being substantial as compared to the loss of potential for growth offered by common stock, it is not a very desirable option in singular form. Stocks can also be classified based on the style of the company, which mostly refers to the growth objectives, as well as, their plans for utilization of profits and what part of profits is to be disbursed to stockholders through dividends. Stocks which pay regular quarterly dividend to all stockholders are usually stocks of well established companies which have a track record of excellent profitability, as well as, strong potential for future growth, and are known as income stocks. These type of stocks are preferred by people looking to invest their retirement funds in order to ensure a regular income in the form of dividend, as well as, lower risk of investing in established organizations. The investment is almost as secure as in bonds, but with much higher returns, of course the possibility of the prices of the stocks falling does exist, however, with investment in such organizations, the risk is minimal. 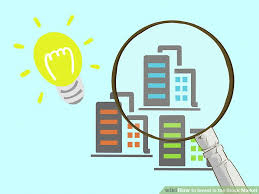 Certain sectors provide greater security than others, as they have a continuous and strong demand for their products, for example, large corporations in the utility sector and energy sector would denote income stocks. The other type of stocks in this category are value stocks, which are clearly explained by their name, the inherent value existing within the stock is greater than the price the stock is being traded at. The stocks mostly exhibit specific attributes, which are an indication of the value, in the form of low ratio of price to dividend, of price to earnings or of price to book value. This is also indicated by a comparison with value of stocks of other companies, of the same sector, in the stock market. The reason for the stock being traded at a lower value may be varied, from management issues to financial problems or even simply due to cyclical trends, which exist within markets and cause stocks to undergo correction. Irrespective of the reason for the stock being undervalued, these stocks have constantly outperformed other stocks, as the inherent value existing within the stock causes change in investor sentiments at one point of time or other, leading the stock to rise sharply and consistently. 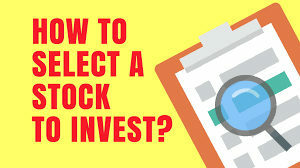 Identifying value stocks which are the most prized investment in the stock market, and the reason for most of the success stories within the stock market, is very difficult for the common man. It entails not only evaluation of the financials of a company as well as the sector, but also other important qualitative factors such as the leadership and management, as also, the objectives of the organization. It requires an experienced professional well aware of the dynamics which operate within the economic environment to be able to identify value stocks. At Beat any Investment, we keep a constant lookout for such priced buys on behalf of our clientele. We are well aware that these are the stocks which help fulfill the dreams of many of our clients, as well as, help them achieve their investment goals. Lastly, this segment consists of growth stocks, which refers to stocks of companies which exhibit exceptional growth in terms of profitability. The increase in profitability of the company, simultaneously tends to push the share price upwards, leading to excellent growth in investment. These companies, however, mostly are on a growth and expansion trajectory, therefore, they prefer to reinvest profits and do not offer regular or substantial dividends. They depend on the increase in stock price to be a satisfactory return on investment for stockholders to stay invested in their company. Mostly, growth companies maybe technology oriented, experiencing spurts of exceptional growth over short time periods, which is clearly indicated by the price to earnings ratio of the shares. The stocks, however, can prove to be very risky, as, if substantial growth is not sustained, the stock can experience downturn in price which is as sudden and significant as the uptrend. Growth stocks may prove to be excellent investment options for investors with high appetite for exposure to risk and also a good opportunity for short term investment, provided a sharp eye is maintained on change in value of stock. Lastly, stocks of a company trading in the stock market can also be categorized on the basis of the size of market capitalization of the company. The total market cap of any company can be simply calculated by the total number of shares issued by the company, multiplied by the current share price of the company as traded, on the stock exchange. On the basis of size companies may be divided into 6 categories such as Mega cap, Large cap, Mid Cap, Small cap, Micro cap, and lastly Nano cap. The market cap ranges from over $100 billion for Mega cap to below $50 million for Nano cap. The size of the company becomes especially relevant for an investor, as it is directly proportional, to the risk inherent in its stock. The smaller the company, the higher the risk and greater the chances of higher return on investment. The small cap stocks consistently outperform the large cap and mega cap over the years, similar to the Nano cap stocks having produced higher returns for investors constantly. Considering the vast array of options available, the minute attention to detail required, as well as, the numerous decisions to be made after analysis and comparison of extensive data, it is a daunting task for experienced experts itself to accurately identify perfect stocks for investment. The uninitiated, on being exposed to excessive information and data difficult to comprehend, become overwhelmed, undecided and fearful of venturing into the world of stock investment. At Beat any Investment, with dedicated efforts of our professional team along with accurate data analysis facilitated by state of the art technological support, the selection process becomes accurate, thereby minimizing risk while maximizing returns. It’s a win-win situation for our clients and a matter of pride for us, as our goal is to satisfy through excellence in service. Invest your trust in us, we repay it with growth in your investment. Get in touch to beat every investment option.